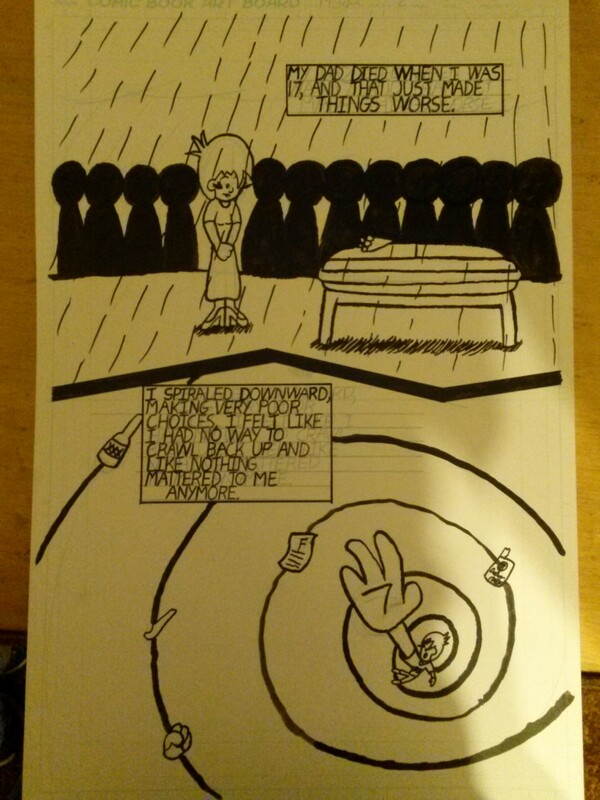 “The Journal of Mischa”, a comic I am making in conjunction with NAMI of Racine, is coming along swimmingly. The cover has been finished for a while and is on display on this very website. 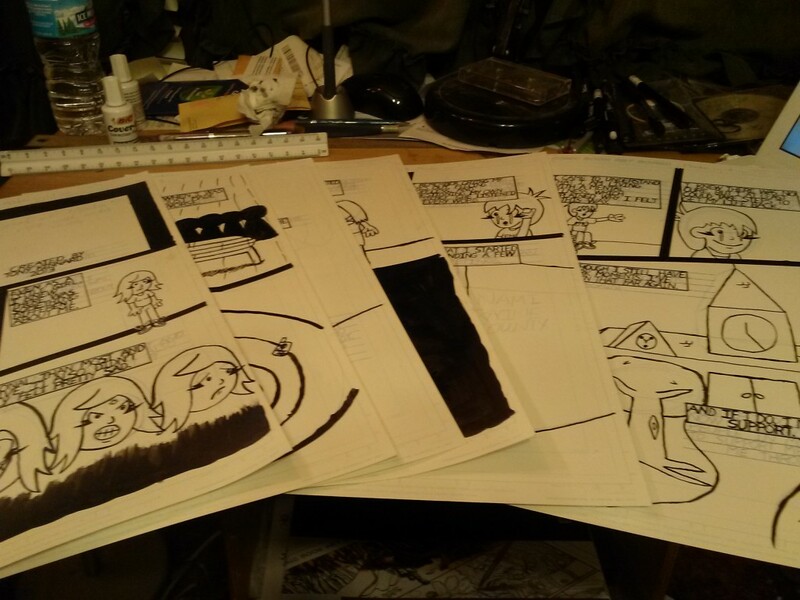 The pages have been sketched out and I am working on inking them as I type this. The grant process has begun, and I’m hoping it goes through when the time comes to send it. 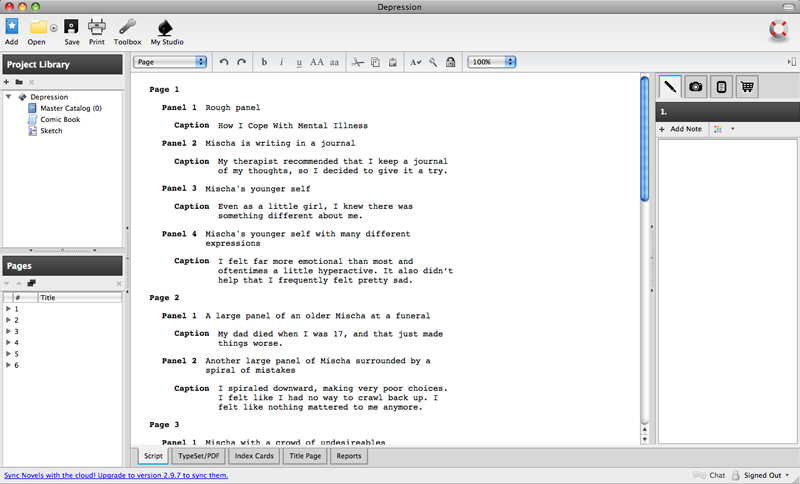 Below are a few screen captures of what has been done so far. Last weekend I went to Meta Con in Minneapolis to sell some comics, as well as some commissions. While I didn’t make any commission sales, I did sell quite a few books. The con itself was interesting, as it focused more on anime and gaming than it did on comic stuff. There were quite a few people dressed up as cartoon characters wandering the halls. Below are just a few pictures from the con floor itself. A week from today, I will be going to Meta Con in Minneapolis to sell copies of Drannik & Lizzep, as well as drawings I’ll make on the spot. I will be posting pictures of the event afterwards. 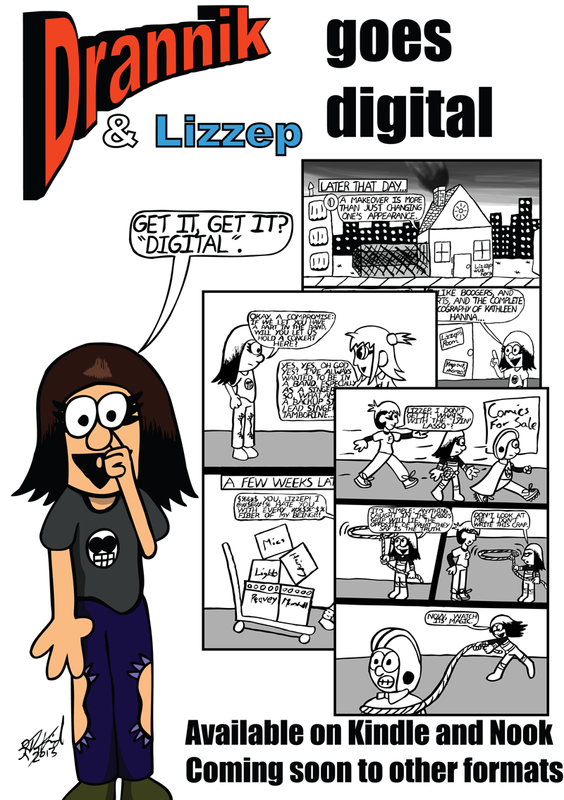 In other news, I am currently working on a new project: a spinoff of Drannik & Lizzep starring Mischa. It is a story involving mental illness, and I’m getting the National Alliance on Mental Illness, or NAMI, in Racine involved. In other words, this comic might have more than just local exposure. I’m also going to be talking to a reporter from the Milwaukee Journal Sentinel soon about this story, as well as all my other comic related doings. I will post more about these things as they happen.